Passenger flights to and from Paine Field in Everett, WA have passed an environmental obstacle and are expected to start in early 2019. 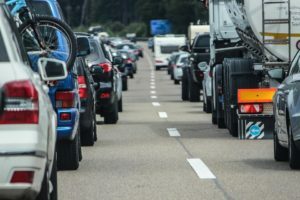 This means an easier commute for more than 1 million business and vacation travelers in north King County and Snohomish County to avoid traffic jams around downtown Seattle and farther south around Sea-Tac Airport. The Federal Aviation Administration’s environmental assessment shows no significant noise or traffic impacts for the airport 20 miles north of Seattle. The plan was first proposed by Alaska Airlines. Commercial flights are also expected by Southwest Airlines and United Airlines. Alaska Airlines’ flights will launch to and from Las Vegas, Phoenix, Portland, Los Angeles, Orange County, San Diego, San Francisco, and San Jose. With the most nonstop flights on the West Coast than any other airlines, Alaska flies nonstop to 90 airports from Seattle. In addition, this is a blessing for South Sound residents headed for Sea-Tac because there will be less congestion at the airport. Alaska will provide as many as daily flights from Paine Field on Boeing 737s and Embraer 175 regional jets as allowed by the Federal Aviation Administration. Paine Field has only been used for Boeing test flights, deliveries, general aviation and maintenance stopovers. That is until Alaska Airlines’ innovative plan that will ease the traffic congestion in King County – removing hundreds of cars off I-5 every day. Nearly 48 million people flew in and out of Sea-Tac Airport in 2016. The travelers contributed to the massive traffic congestion on I-5 between Sea-Tac and Seattle. In my experience, it will take travelers much less commute time from the area just north of Seattle to the Snohomish County Airport. Many people opposed the idea when it was announced in 2013 after the FAA determined that converting Paine Field in Everett, Wash. to an authorized airport for jet service wouldn’t adversely affect the region’s air, noise or traffic. The cities of Edmonds and Mulkiteo initially filed a notice with the 9th Circuit Court of Appeals in San Francisco of their intention to appeal the FAA’s decision. However, they faced an obstacle. Because the county receives taxpayer dollars from the federal government for the airport, officials were obligated to accommodate the commercial airlines if they wish to expand their service. The commute for airline passengers between Everett and Seattle-Tacoma International Airport (Sea-Tac) is 40 miles. But they must drive through downtown Seattle on Interstate 5, which means an aggravating long trip especially in rush hour traffic headed in either direction. It’s 62.5 miles from Everett to the smaller Bellingham International Airport. The commute takes at least an hour. My sense: Unrelenting regional growth necessitates commercial flights by Alaska Airlines and others. It would have behooved opponents to consider the welfare of the entire region. The nearest airport is quite a distance away. In looking ahead, Alaska Airlines is providing a suggested schedule to the FAA for the next five years. That includes a proposed list of 35 round-trip jet flights a week. “We continue to believe that our flights at Sea-Tac Airport and in Bellingham best serve the Puget Sound region’s needs for affordable air travel, particularly in light of the significant investments both airports have made recently to improve their facilities,” says Andrew Harrison, Alaska Airlines’ vice president of planning and revenue management, in a press release. Alaska Airlines’ proposed schedule in the first year of operations would include 14 weekly round-trip flights to Las Vegas, Honolulu and Maui, Hawaii, using Boeing 737-800 jet aircraft. Alaska would also fly 21 weekly round-trip flights to Portland, Ore., with Bombardier Q400 turboprop aircraft. Not all destinations would be served daily. Alaska Airlines operates about 1,750 weekly round-trip flights at Sea-Tac, and up to 63 weekly round-trip flights at Bellingham International Airport, which is approximately a one-hour drive north of Everett. With empathy for opponents who live near Paine Field, the concept makes sense because it affects far more people than in just a few cities, taxpayers are supporting the airport, and consider the proposed schedule and all the cities — it’s an economic development tool. Plus, I’m not familiar with the commute between Everett and Bellingham, but I’ve endured the traffic between Everett and Sea-Tac. Conversion would ease I-5 traffic through Seattle, and will make it more convenient for businesspeople – a drawing card for businesses thinking of locating to the region. Personally, I’ve made countless trips between Seattle and Everett to visit relatives and for client meetings. Unless the drive was late at night, it was a quagmire. For productive client meetings in the morning hours, it necessitated driving to Everett the night before and staying in a motel. Also, I’ve sat next to passengers from Everett on Alaska Airlines flying to vacation spots in southern California, Hawaii and Mexico – they practically needed vacations just to recover from their long commutes to Sea-Tac. The same was true for business travelers. 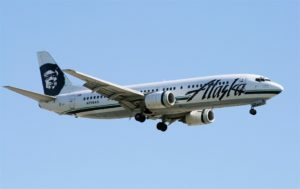 Alaska Airlines, a subsidiary of Alaska Air Group (NYSE: ALK), together with its partner regional airlines, serves 95 cities through an expansive network in Alaska, the Lower 48, Hawaii, Canada and Mexico. Alaska Airlines has ranked “Highest in Customer Satisfaction Among Traditional Network Carriers” in the J.D. Power and Associates North America Airline Satisfaction Study (SM) for many consecutive years. Trending: ‘Bleisure’ Travel in Europe — Annually in Europe, 30 percent of travelers are businesspeople. Ostensibly, many are increasingly adding days to their business travels to take a leisure break. Hoteliers welcome the trend and dub it bleisure travel. Etiquette Tips for Conducting Business in the French Culture — Not to be gauche, but compared to the U.S., conducting business in France might seem a bit quirky to you. Nevertheless, business with the French can be very profitable, if you approach it with dignity.